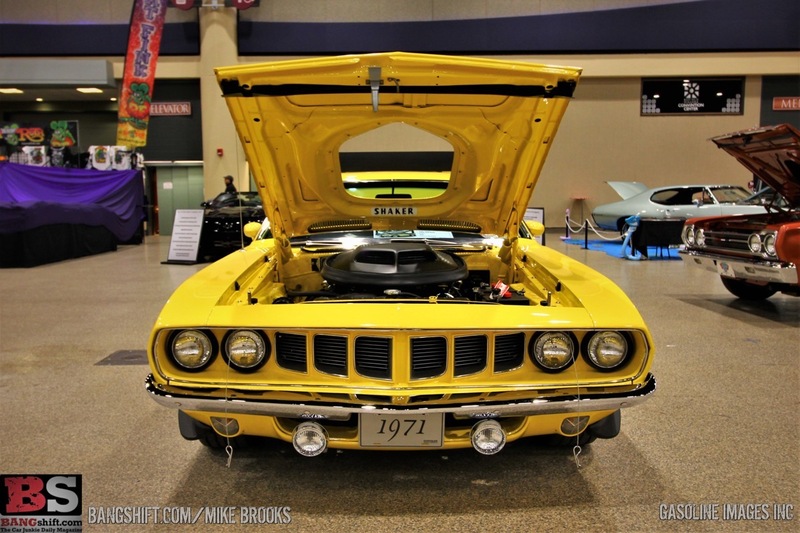 (Words and photos by Mike Brooks) – As the indoor car show season comes to a close around the country, gear heads everywhere are amped up and ready for spring and summer action. Those of you who follow my photo coverage here on Bangshift know my tour of the indoor circuit has stops in Pittsburgh, Detroit, Cleveland, and lastly my hometown event in Buffalo NY. The Buffalo Motorama is the event that sends old main winter packing every year and sets the tone for the car scene as the weather begins to show some promise. The ninth annual version of the event was no different. It filled the Buffalo Niagara Convention Center with some killer rides from all over the US and Canada. Spectators got their fill of paint, chrome, and all that is good in the motorhead world. Including rubbing elbows with some celeb types. Fans got to meet and greet with Tom Wopat (Luke Duke, Dukes of Hazzard), Dennis Gage (My Classic Car), Lou Santiago (Car Fix, Playing N Traffic podcast), and Dan Woods (Chop Cut Rebuild). This show continues to gain steam as it grows each and every year. I’m already looking forward to what the 10th anniversary of the event brings next year. Check out the first run of photos below! BangShift Question Of The Day: Car-Like Truck Or Truck-Like Car? Proper Restomodification: This 1961 Ford Galaxie Starliner Is How You Hide Major Work! Was there sunday. Always a good show. The open wheel section downstairs is my favorite part. Some nice rides. I’m good with patina and barn finds and all………but the old Chevelle didn’t need to bring part of the barnyard with it. C’mon man, wash it off, clean it up, THEN share it. I could smell the dead mice from here. Brian, how did I not know you were a fellow Buffalonian? Let’s go Buffalo! We told the 70 Chevelle barn find owner to leave it exactly as it was. It was cooler that way. I guess we will have to agree to disagree on that. Apparently the photographer agreed with you. Lol.